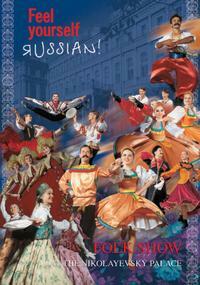 Find Tours, sightseeing tours, activities & things to do in St. Petersburg. Find discounted tickets, events, and many more. Experience spectacular St Petersburg, illuminated at night, on this small-group tour by minivan in the former capital of the Russian empire. Your expert guide will point out the magnificent floodlit monuments in the city center including the State Hermitage Museum and St Isaac's Cathedral as well as the surrounding streets, squares and embankments of the Neva River. This city’s unique architectural heritage, even more magical at night, is not to be missed!This tour is limited to six people, providing a small-group experience with your guide. Russian art and architecture are St Petersburg's biggest draws, and on this 3-hour walking tour you'll see two of its finest examples. Gaze in awe at the attention-grabbing architecture of the Church of the Saviour on Spilled Blood, and then head inside to marvel at its equally opulent interior. The second part of your tour includes a visit to St Petersburg's Russian Museum, a cultural gem with more than 400,000 pieces of artwork from different genres dating back to the 10th century.Numbers are limited to six on this small-group art tour, ensuring you'll enjoy personalized attention from your guide. 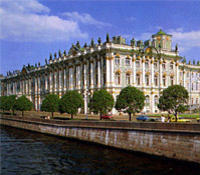 Travel from your St Petersburg City Hotel to St Petersburg Railway Station. Transfer services are available 24 hours a day, 7 days a week. This is a private transfer service so the price is the same for groups of 1 - 3 transferred in a private car or 4 - 6 transferred in a private minibus. Peterhof is perhaps St Petersburg's most famous and spectacular Imperial estate. The Grand Palace, filled with fascinating and elaborate interiors, sits on top of a high seashore ridge overlooking the vast Lower Park. 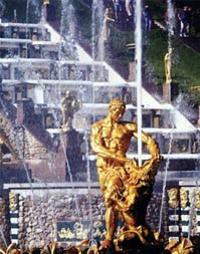 The palace at Peterhof sits amidst an enormous park, adorned with fountains, statues and pavilions. Numbers are limited to 6 people on this small-group tour, ensuring you'll receive personalized attention from your guide. 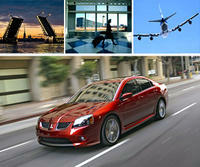 Travel from St Petersburg Airport to your St Petersburg City Hotel. Transfer services are available 24 hours a day, 7 days a week. This is a private transfer service so the price is the same for groups of 1 - 3 transferred in a private car or 4 - 6 transferred in a private minibus. 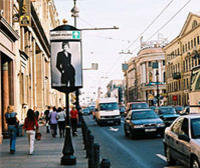 Travel from St Petersburg Railway Station to your St Petersburg City Hotel. Transfer services are available 24 hours a day, 7 days a week. This is a private transfer service so the price is the same for groups of 1 - 3 transferred in a private car or 4 - 6 transferred in a private minibus.